Really great and oversized cocktail shaker made by Hawkes Crystal. 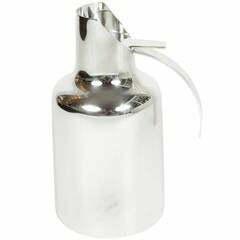 This shaker has a silver plated top and has a wonderful worn to brass look. Shaker is marked on the metal with Hawkes. Crystal is in perfect condition, the top of the shaker has a wonderful worn in look and the brass shows though in most places. 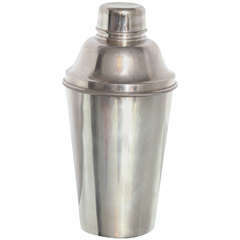 Cocktail shaker, silver plate, Sweden, 1930s, with strainer, Art Deco. A fine silver plate vintage cocktail shaker made by Harrods of London with silver plate marks on the underside. Art Deco silver plate cocktail shaker with engraved bands on the body and top. 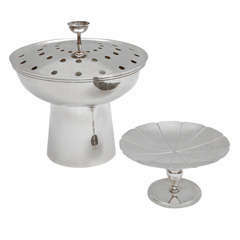 Removing the cap and strainer reveals a beautiful silver interior.